Holley EFI Fuel Injectors feature a precision lapped disc valve, high-quality brass windings, and high-temp O-rings. These injectors provide excellent linearity with no discernible "bounce" at low pulse widths as commonly found in other injectors. They are available from 19 to 160 lb/hr flow rates to accommodate a variety of vehicles from mild street cars to high horsepower race applications. 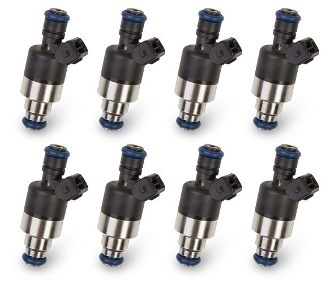 Holley EFI Fuel Injectors provide precision fuel delivery you can depend on.